Happy National Tortilla Day! Smoothie Monday had to take a backseat today because of this glorious holiday!! 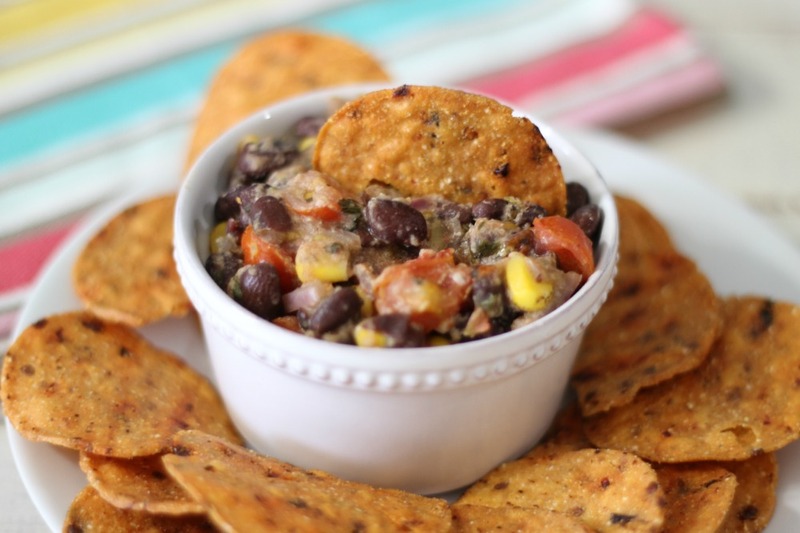 You know how I love Mexican food, spice and dips, so I had to celebrate with my Hot Black Bean Dip! Oh man this dip is so me. Apparently I’m on some kind of southwestern kick from yesterdays chili recipe. But this dip is just amazing, really it is. It’s chunky, fresh tasting, filling, cheesy, gluten-free and simply delicious. It’s not spicy either, that’s because I dip it in the brand new, just hitting the markets now “The Better Chip” newest addition to its family of great chips, “Chipotles and Sea Salt Tortilla Chips.” These chips are hot and spicy!! I love them. 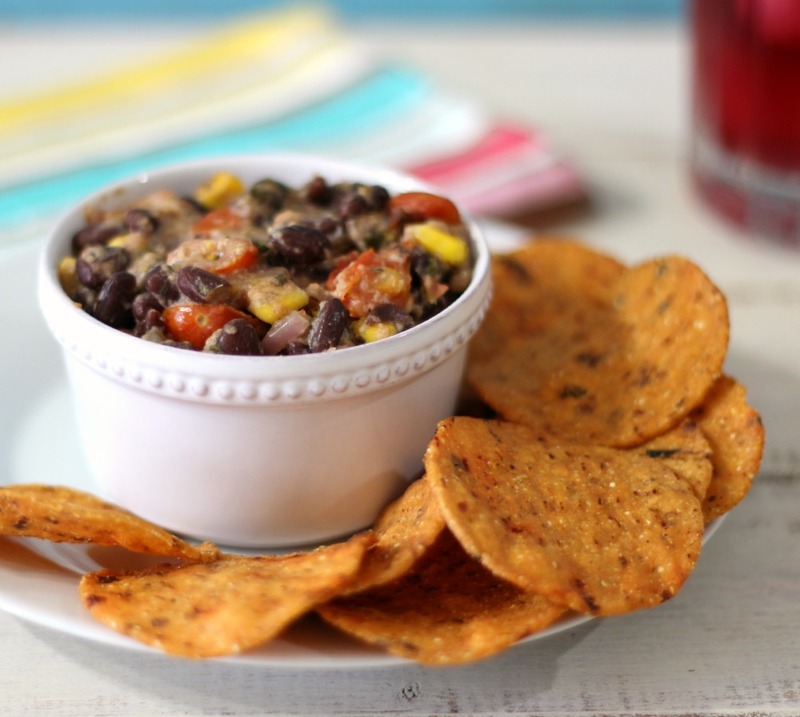 The tortilla chips are the perfect complement to my bean dip. 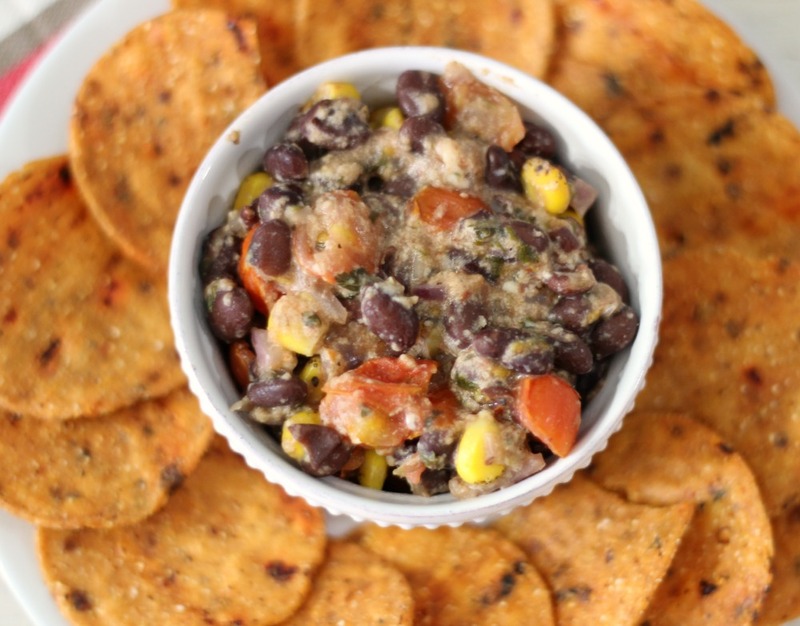 Making the bean dip is super easy too! I cooked everything on a skillet and poured it into my bowl. Then I started dipping! 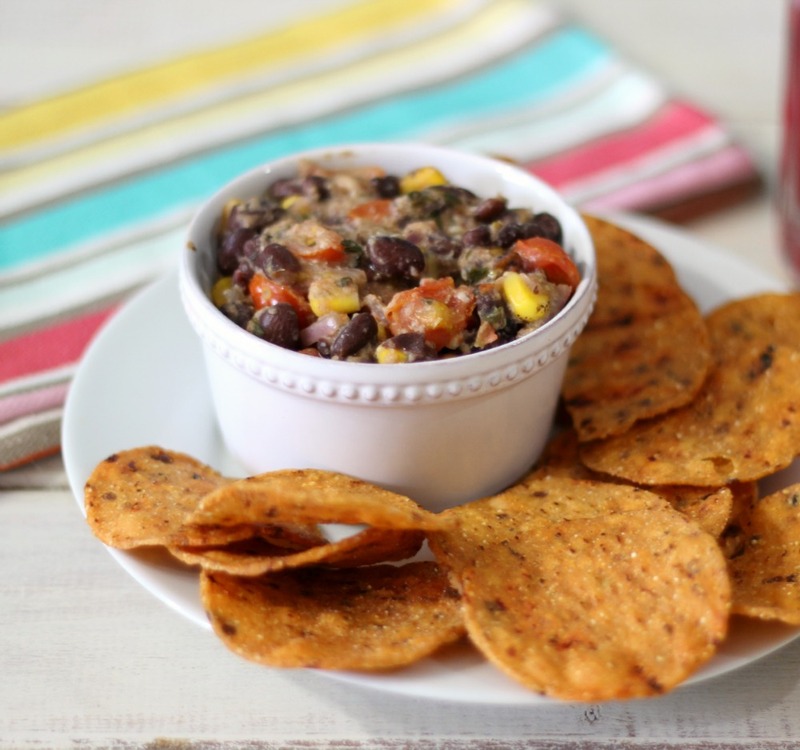 The bean dip is made with onions, garlic, black beans, corn, pepper jack cheese, cumin, cilantro, and fresh cherry tomatoes. If you didn’t have fresh tomatoes, I think salsa would work beautifully in this recipe too!! Fresh, chunky, cheesy, southwestern seasoned hot bean dip. In a large skillet, add olive oil, onion and garlic. Cook until tender about 5 minutes. Add black beans, gently mush them with a fork, then add corn,tomatoes, lime juice, cilantro, cumin, salt, and pepper and cook until warmed; stirring constantly. Stir in cheese and cook until cheese is melted. Have you Guys tried The Better Chips Tortilla Chips? They come in a variety of flavors like Jalapeno, Spinach & Kale, Beet, Corn, Red Pepper, and Sweet Onions. I love them and I love that they are certified gluten-free, Non-GMO, all natural and made with fresh ingredients. You can pick them up at your local grocery store. 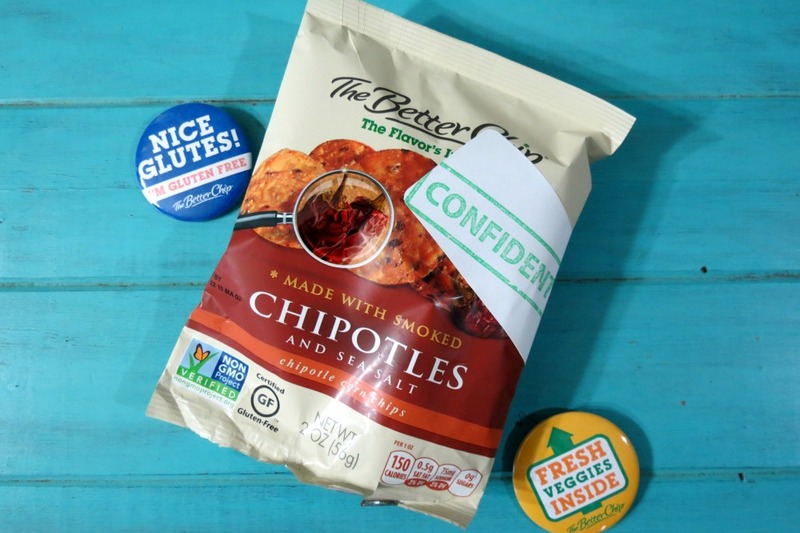 Oh and if you can join the The Better Chip Insiders advocate hub, like me. You will have access to exclusive offers, content and prizes! Just go here! Well Guys, that’s it for me today! Have a wonderful day and don’t forget to celebrate National Tortilla Day!!! I know I will! You Can Find The Better Chip on Facebook, Pintrest, Google Plus, Twitter and Website. As part of the Better Chip Insider Club, I received a sampling of The Better Chips and was asked to make a dip to go with the new smoked with Chipotle and Sea Salt Tortilla Chip. All opinions are my own. This bean dip is really incredible. I think I’m in love! Everyday is a different food holiday, I can barely keep up! 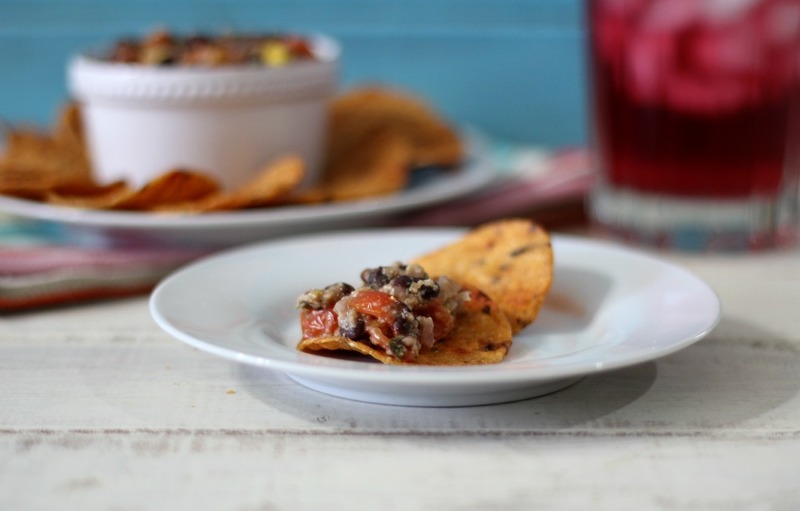 Tortillas – always down for, and this dip! This dip is making me so hungry!! Luckily I have all of the ingredients, so now I am off to make some right now! Oh, I LOVE The Better Chip! This little deli near my old office included them with their meals. The jalapeno one are the spiciest chips I’ve ever tasted, and I love the burn! haha.